ALD Vacuum Technology GmbH is the technology leader for silicon ingot production for solar applications. ALD’s Silicon Crystallization Unit (SCU) furnaces are applied for melting and crystallizing solar grade silicon into square multi- and monocrystalline ingots – the key step in the manufacturing process of solar wafers and cells. The ingots are cut and sliced into solar wafers and then processed by cell manufacturers into solar cells. ALD’s has more than 150 years’ experience and knowledge in developing, engineering and supporting advanced furnaces designs for high-temperature applications. This experience means our clients are assured of trouble free equipment, fast commissioning and rapid production ramp-up. For silicon, ALD has several hundred SCU installations worldwide with proven expertise for silicon melt sizes up to 2,000kg. Most of the ALD SCU furnaces use top and bottom heating for vertical grain growth, ability to operate with constant crystallization rates, fastest cycle times in the industry, and multilayer shields on chamber bottom for run-out protection. Multi-crystalline ingots are produced by melting the silicon charge and subsequent crystallization of molten silicon in quartz crucibles under inert gas atmosphere. SCU furnaces are equipped with a variety of unique and production proven design features including engineered graphite insulated hot zone, top and bottom heaters, an active cooling system, numerous up-to-date sensors for measurements and process parameter control. The SCU furnace design enables precise control of crystallization parameters such as constant crystallization rate, melt stirring to minimize inclusions and vertical crystal growth which are key factors for quality of wafers and cells produced from silicon ingots. Innovative processes such as High Performance Multi (HPM) ingot casting with seed layers can be easily adapted to the SCU furnaces based on the very flat temperature profile across the crucible which preserves the seed layer and maximizes yield of HPM bricks for each ingot. Square, mono-crystalline silicon ingots can be produced with standard SCU furnaces equipped with a few additional process controls using Mono2TM patented technology. This unique process technology combines the throughput/cost advantages of multi-crystalline silicon ingot casting with the characteristics of mono-crystalline silicon ingots and was optimized for use in SCU furnaces up to Gen8 ingots. 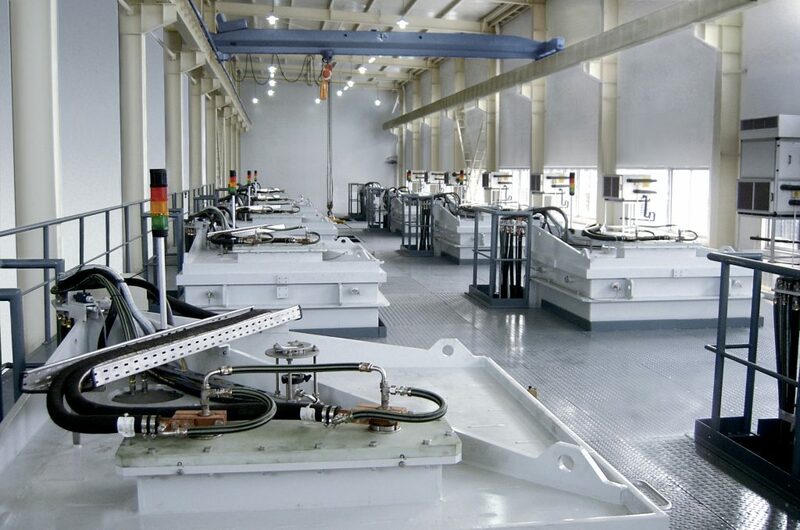 The primary benefit of the Mono2TM process is the production of mono-crystalline ingots with high throughput and significant lower manufacturing cost compared to CZ pullers. Cell makers benefit from less reflectance losses and higher currents while using standard cell processing. ALD assists our clients with comprehensive services including equipment optimized for the Mono2TM process, technology transfer, customer training and license agreements for use of Mono2TM technology. Easy scalability— SCU furnaces are available in the following sizes and models: SCU450/G5 ingot production; SCU650/G5-G6 ingot production; SCU 1200/G5-G7ingot production and SCU 1500/G5-G8 ingot production. ALD maintains SCU furnaces configured for G5 and G6 ingot production at its in-house R&D laboratory. We welcome our new clients for hands-on demonstration of the SCU using the customer’s silicon mix. Cycle time, ease of use and process controls can be verified as part of your furnace improvement project. In addition, those furnaces are available for your tolling requirements should your company wish to verify projected mass ingot yields of HPM or Mono2TM bricks per ingot. ALD also welcomes the opportunity to engineer customer specific furnace designs to meet new requirements and applications.